If you dont already know about artist Grotesk, he has been creating some really sweet graphics for quite a while now. He is also featured on this months cover of Juxtapoz. 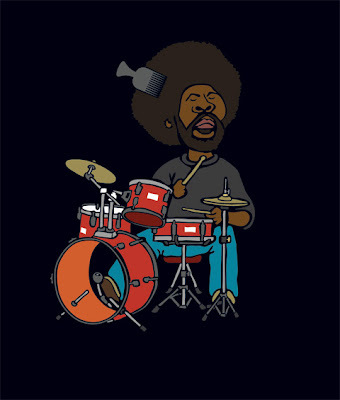 Couldnt help but post this illustration of Questlove. Super cool.